WARNING: Hummus Can be Extremely Addictive. Proceed with Caution. Everything about hummus makes it seem essential to the human way of life, especially for college students or those freshly detached from their parents’ household. Considered by many to be a modern day delicacy, this dip/spread is traditionally made with mashed chickpeas, olive oil, lemon juice and garlic among other things. It is a healthier alternative to many common, everyday condiments. 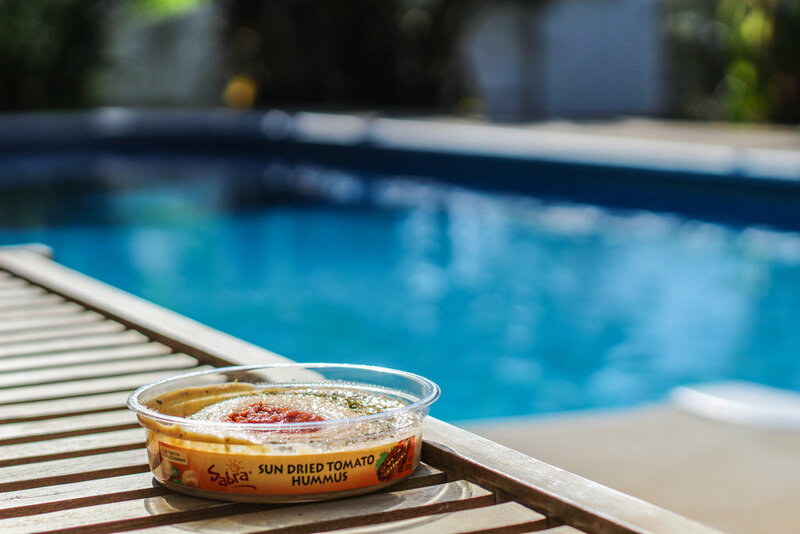 In the sun or snow, by your lonesome or with friends, hummus is perfect on any occasion. Here is a list of five reasons why it should be in everyone’s fridge, including yours. It even promotes sleep, making this tasty dish the perfect late night snack. It doesn’t matter the use, hummus can find a place in every meal. When in search of food, start thinking of it as a go-to item (if you don’t already). Don’t be surprised when your life seemingly becomes complete and fulfilled. Nowadays, it’s available in all sizes from personal to party, making it great for any setting. As if it isn’t already healthy enough, hummus also is now being made with vegetables like carrots, beets, or even my favorite, edamame. This makes the possibilities endless. Seen far too often among college students is the fridge containing nothing except beer, ketchup, and maybe some old cheese. The perfect solution to this common problem, to put it simply, is hummus. What if that new date of yours wants something to snack on? For some reason, cheesy ketchup doesn’t sound like the key to their heart. Hummus, on the other hand, seems to be popular with mostly everyone. Your date will be rather impressed when they see this ‘classy’ dish displayed on your bare shelves, making you appear more sophosticated in the process. Considering hummus is a healthy snack, you will easily impress others while taking a break from that greasy junk food. Nearly anything you can think of pairs well with hummus, making it the perfect snack when you want something light. It’s commonly used as a dip, with anything from pita to bell peppers. You can even put in some creative effort and come up with new combinations. Try celery lined with hummus, then stick a carrot in the middle. Voila! It requires no clean up, which makes it a great snack on days you have class from 8 to 5. If you cook a larger meal, you can use it as a topping for chicken or fish as an easy way to add rich flavor without having to prepare a time-consuming sauce. Hummus has the potential to turn any amateur cook into a professional chef. We don’t always have the opportunity to eat according to our wants, which is why the last point is self-explanatory. We all know what it’s like to shop on a budget. The price of hummus is reasonable and provides you quite a bit of bang for your buck. Publix, for example, constantly provides specials and even carries their own varieties. 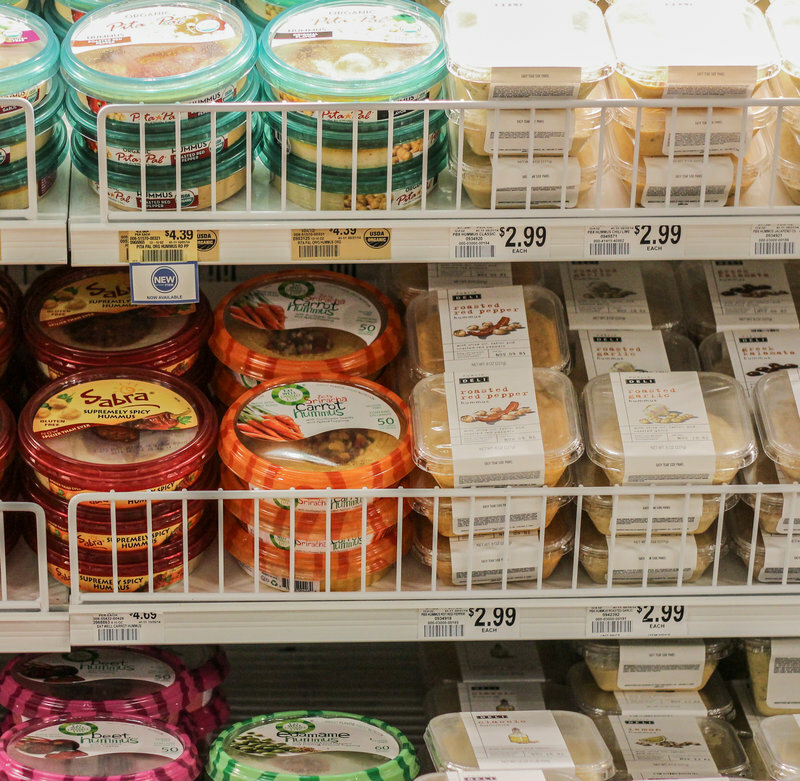 Regardless of your living situation, hummus is accessible to nearly everyone. Because it is perfect with almost any meal, you might just find yourself quickly replacing that mayo or extra chunky salsa with different kinds of hummus instead.